Aim Sports'' Lower Parts Kit includes: trigger and hammer assembly, safety switch, bolt and catch, front and rear receiver lock pin, magazine release assembly, trigger guard, and black polymer pistol grip.Type: AR KitModel: Lower Parts KitSafety: LeverFinish: Black.. 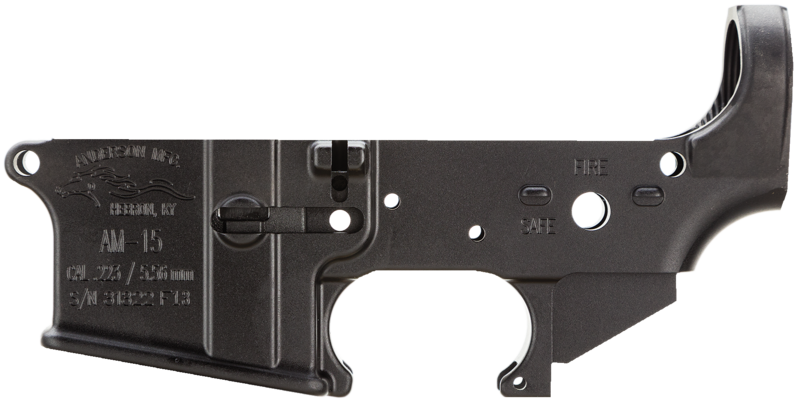 This Anderson Manufacturing stripped lower is made for your AR-15.Type: Lower ReceiverGun Model: AR-15Gun Type: AR PlatformCaliber: 223 Remington/5.56 NATOMaterial: 7075 T6 AluminumFinish: BlackTrigger: None.. 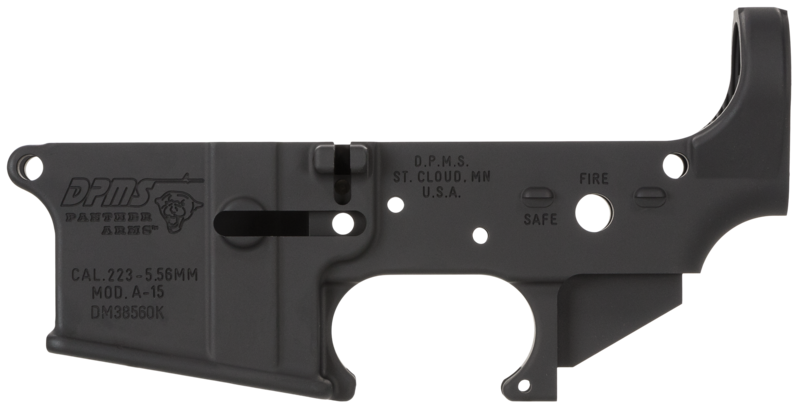 The Packaged AR-15 Stripped Lower Receiver is American made with superior quality for less. Anderson''s lower receivers are CNC machined from a high-strength, 7075 T6 aluminum forging for reliable performance and outstanding durability. Machined to military specifications & standards and marked "Mul.. The Gen 2 Lower Parts Kit features a new lightweight design on the hammer & trigger. 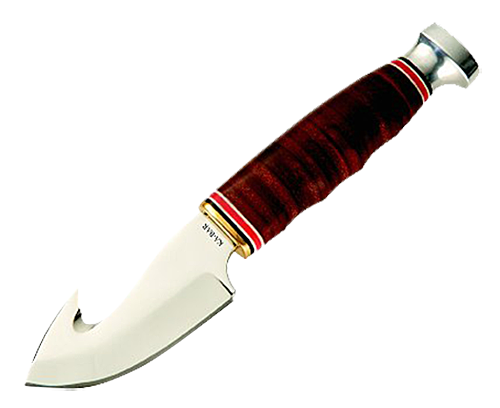 The Hammer features a new catch design. 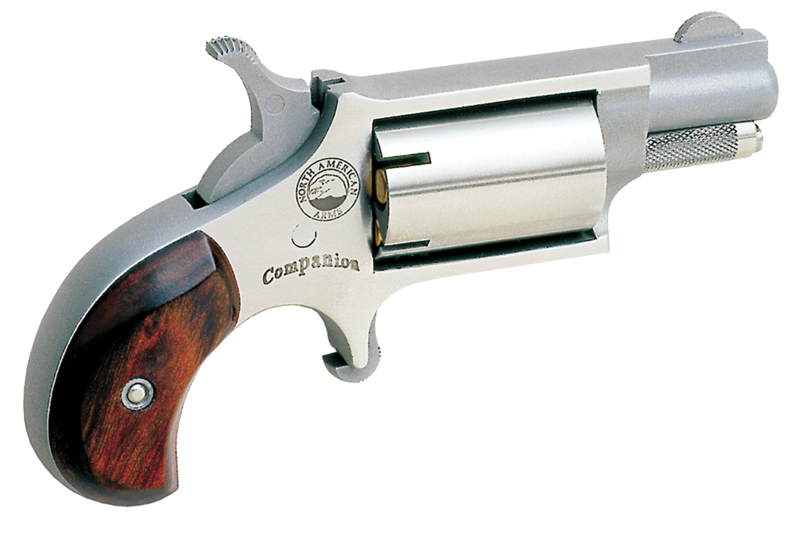 The hammer and trigger are both made from 420 stainless steel. This Lower Parts Kit includes the following: Bolt Catch, Bolt Catch Plunger, Bolt Catch Roll Pin, Bolt Catch Spr.. Type: Lower ReceiverGun Model: AR-15Gun Type: AR RifleCaliber: 223 Remington/5.56 NATOMaterial: 7075 T6 AluminumFinish: BlackTrigger: Standard.. Type: Lower ReceiverGun Model: AR-15Gun Type: AR PlatformCaliber: Multi-CaliberMaterial: 7075 T6 AluminumFinish: BlackTrigger: Standard..
Bushmaster offers these Lower Receiver Assemblies featuring Six-Position Telescoping Stock, tele-style fixed stock, A2 stock, or Skeleton stock. These assemblies are all Bushmaster''s highest quality components, complete and ready to use, just snap on your upper receiver.Type: Lower ReceiverGun Mod.. Type: Lower ReceiverGun Model: AR-15Gun Type: AR PlatformCaliber: 223 Remington/5.56 NATOMaterial: 7075 T6 AluminumFinish: BlackTrigger: Standard..
CMC Triggers Complete lower receiver parts kit for AR-15 are a great addition to your AR15 build. From amateur gun builder to seasoned expert gun smith, this lower parts kit is for you. Kit contains the following:-Bolt Catch, Bolt Catch Plunger, Bolt Catch Spring, Bolt Catch Roll, Mag Release and Ma..
CMMG''s Mk9 complete lower receiver group combines with your favorite 9mm upper receiver group to build your ideal rifle. 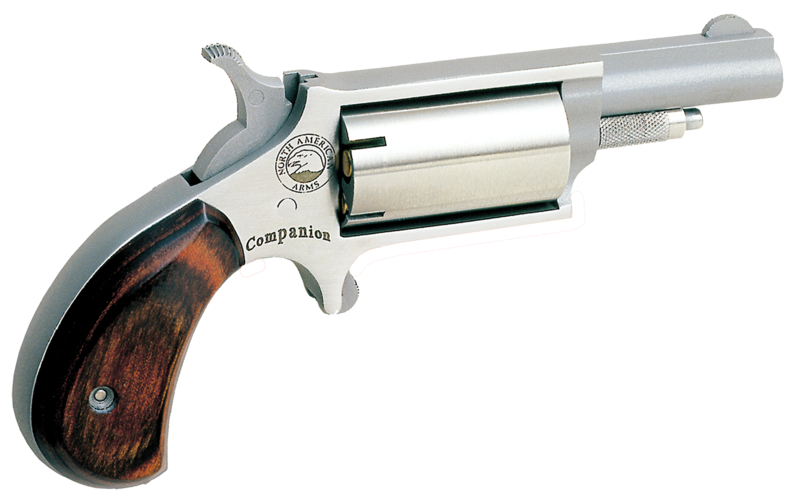 Made from forged 7075 T6 aluminum, is designed to accept standard Colt-pattern 9mm magazines. It features a standard A2 pistol grip and 6-position M4 buttstock. 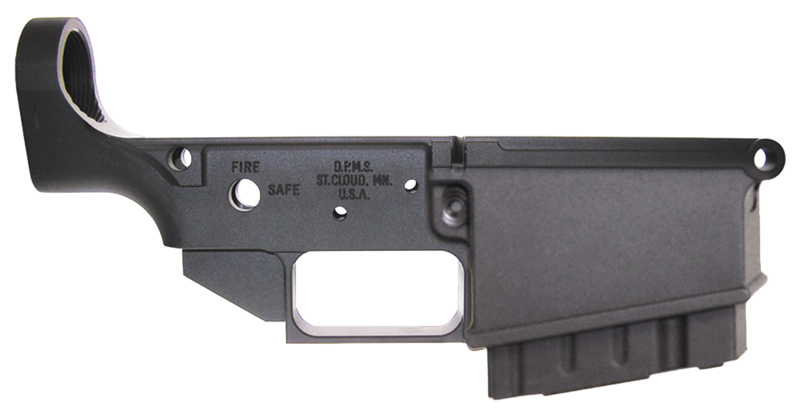 This complete lo..
CMMG 308 (DPMS) Semi-automatic Lower 308 Winchester, Black, Billet 11146.Type: Lower ReceiverGun Model: LR-308Gun Type: AR PlatformCaliber: 308 Winchester/7.62 NATOMaterial: 6061-T6 AluminumFinish: BlackTrigger: None: Stripped.. 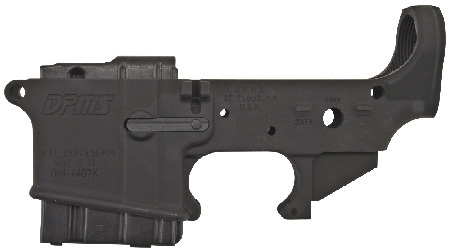 This CMMG hard anodized, forged 7075 T6 aluminum lower receiver comes assembled. It is complete with lower parts kit installed and a collapsable 6-position stock.Type: Complete Lower ReceiverGun Model: AR-15Gun Type: AR PlatformCaliber: 223 Remington/5.56 NATOMaterial: 7075 T6 AluminumFinish: ..
CMMG 9OCA253 9mm MK9 AR-15 Complete Lower Receiver Group No StkType: Complete Lower ReceiverGun Model: AR15Gun Type: LowerCaliber: 9mmMaterial: 7075 T6 AluminumFinish: Black.. This Colt M4 LE6920 Complete Lower is constructed of 7075-T6 aluminum with a black hardcoat anodized finish, single stage trigger, and an A2 pistol grip.Type: Lower ReceiverGun Model: M4Gun Type: AR PlatformCaliber: 223 Remington/5.56 NATOMaterial: 7075 T6 AluminumFinish: Black Hardcoat Anodiz.. 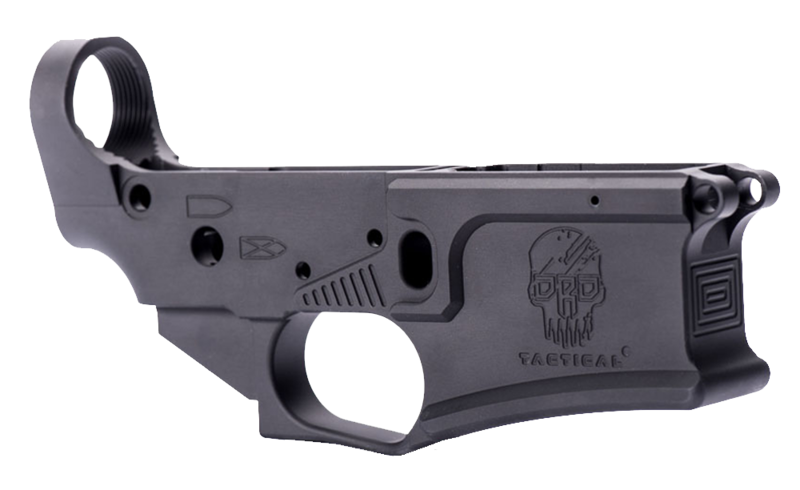 Forged 7075 T6 aluminum AR-15 lower receiver that has been hardcoat anodized. 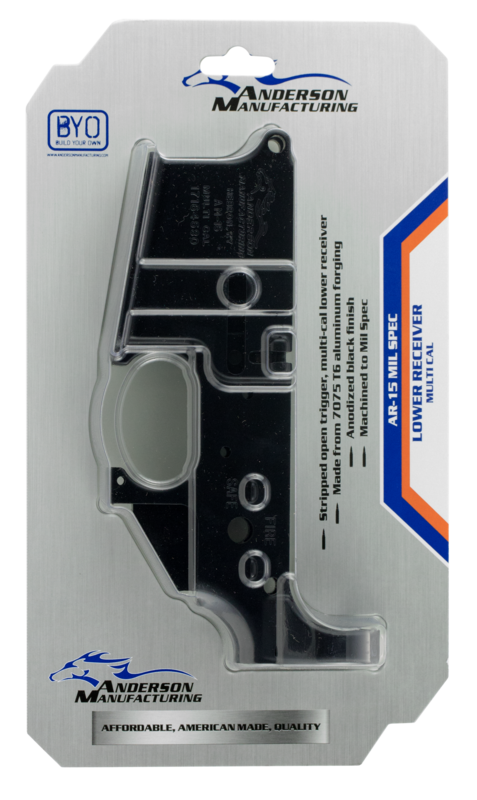 This is the stripped lower only, does not include any internal parts.Type: Lower ReceiverGun Model: AR-15Gun Type: AR PlatformCaliber: 223 Remington/5.56 NATOMaterial: 7075 T6 AluminumFinish: BlackTrigger: Standard.. 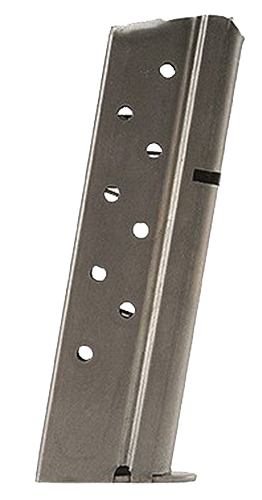 This stripped lower receiver is milled from a solid billet of 6061-T6 Aluminum. It is hardcoat anodized per Mil-Spec and Teflon-coated black. 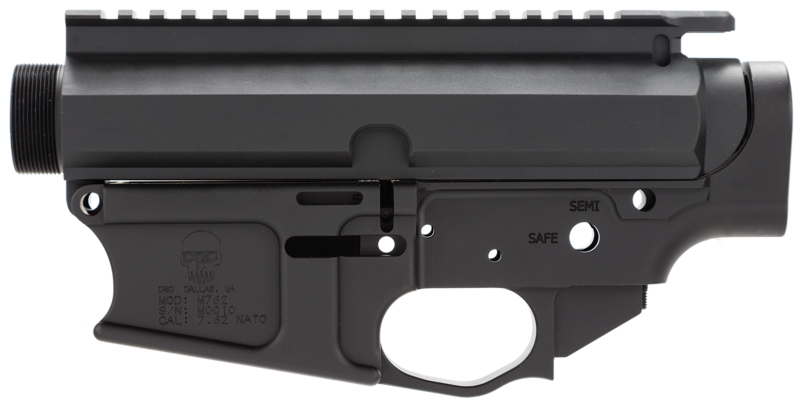 This is a California compliant model with a bullet button.Type: Lower ReceiverGun Model: LR-308Gun Type: AR PlatformCaliber: 308 Winchester/7.62 NATOMater.. These lower receivers are stripped and are aircraft aluminum tempered to T6 condition, them they have a hardcoat anodized per Mil-A-8625 and Teflon coated black. Because these lower are California approved, they have a bullet button and a 10-round magazine.Type: Lower ReceiverGun Model: AR-15Gun T.. 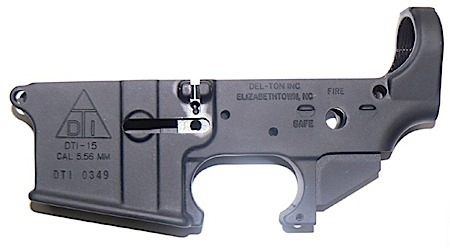 This stripped lower is forged from Aircraft Aluminum Alloy tempered to T6 Condition. Lower is Hardcoat Anodized per Mil-A-8625 and Teflon Coated Black.Type: Lower ReceiverGun Model: AR-15Gun Type: AR PlatformCaliber: 223 Remington/5.56 NATOMaterial: 7075 T6 AluminumFinish: BlackTrigger: None..
CDR-15 lower is machined from billet 7075 aluminum. AR-15 type compatible for assembly and marked multi-caliber, so it can be built to any caliber the shooter chooses. It is hard coat anodized.Type: Lower ReceiverGun Model: AR-15Gun Type: AR PlatformCaliber: Multi-CaliberMaterial: 7075 T6 Alumi.. This stripped billet upper and lower receiver uses a DPMS pattern fit for LPK and BCG. The upper and lower are made from 7075 aluminum and are black hard coat anodized. It uses HK G3 magazines.Type: Lower and Upper ReceiverGun Model: HK G3Gun Type: AR PlatformCaliber: 308 Winchester/7.62 NATOMat.. 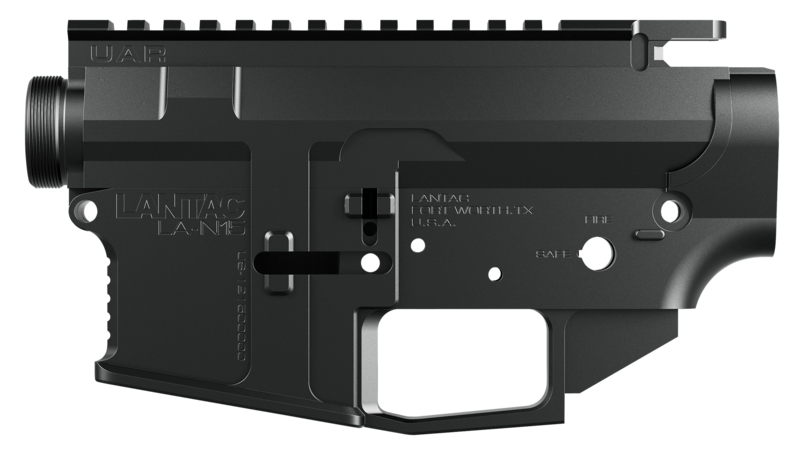 This stripped billet upper and lower receiver is a .308 DPMS pattern fit. It is made from 7075 aluminum and black hard coat anodized.Type: Lower and Upper ReceiverGun Model: AR-10Gun Type: AR PlatformCaliber: 308 Winchester/7.62 NATOMaterial: 7075 T6 AluminumFinish: BlackTrigger: None.. The AR1 Extreme is manufactured in the USA of high impact composite polymer. This polymer allows for superior strength, unmatched durability and is extremely lightweight (4.3 oz). The receiver bears the Thomas Jefferson quote, "The tree of liberty must be refreshed from time to time with the blood o..
FMK GAR1P AR1 Patriot Stripped Lower Receiver AR-15 Multi Caliber BlkType: Lower ReceiverGun Model: AR-15Gun Type: AR PlatformCaliber: Multi CaliberMaterial: PolymerFinish: Black.. Type: Lower ReceiverGun Model: Sig P320Gun Type: PistolCaliber: 9mm LugerFinish: Black..
Williams FireSight features a click adjustment design for windage and elevation adjustments. The high visibility fiber optics is ideal for target shooting and hunting. It also has improved visibility in low light conditions. The sight is CNC machined out of a high grade aluminum. This rear sight mod..
LanTac Raven? N15 receiver set features LanTac''s UAR? (Upper Advanced receiver) and LA-N15 lower. 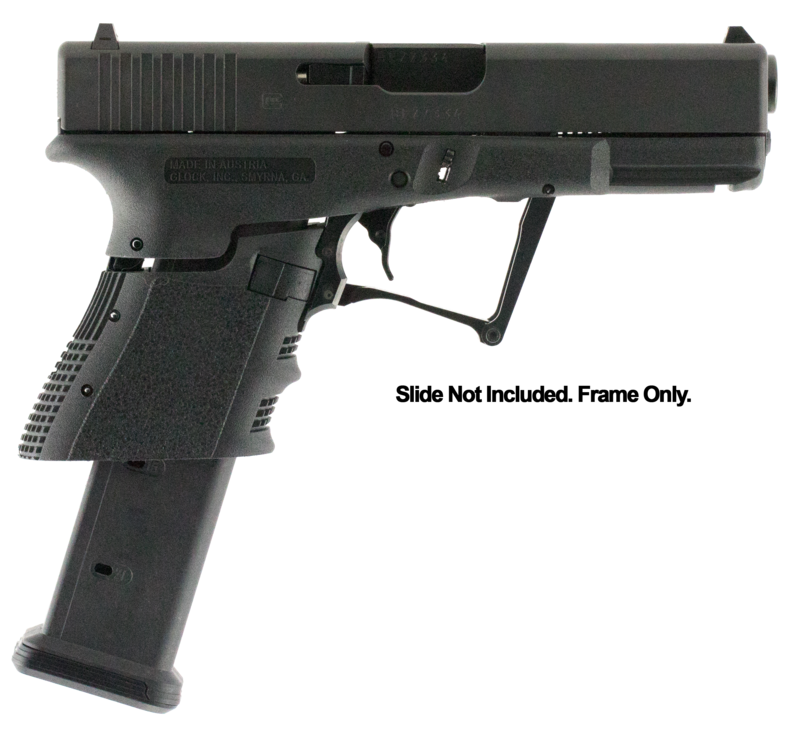 The upper is machined from 7075-T6 aluminum and milspec, with a black hardcoat anodized finish. The cam pin recess has been carefully designed with a smooth surface which allows the specially designed ..
LanTac Raven? 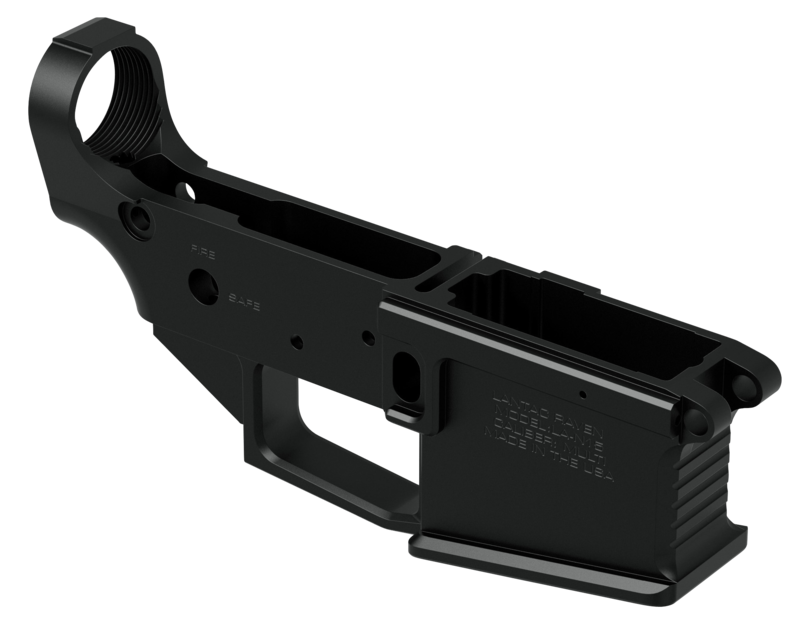 N15 lower receiver is machined from 7075-T6 aluminum alloy and features an internally flared magwell allowing for faster and more accurate seating of the magazine during high stress reloads.Type: Lower ReceiverGun Model: AR-15Gun Type: AR PlatformCaliber: Multi-CaliberMaterial: 70..